IBS Dehradun (Faculty of Management Studies), a constituent of The ICFAI University, Dehradun recognized by UGC under section 2(f) of the UGC Act. IBS Dehradun provides high quality, value based, career-oriented management education. It facilitate students in understanding, developing, integrating and applying both core and specialized concepts and practices. IBS Dehradun is housed at The ICFAI University in a lush green campus spread over 25 acres site of Selaqui. It has 2.5 lakhs sq. ft. built up area with academic blocks, faculty rooms, auditorium, seminar halls, computer labs with latest computing facility, well equipped library, canteen, sports and recreation facilities. IBS Dehradun maintains a reputation for quality teaching, field based assignments, case-based learning, productive learning based internships and final placements in reputed organizations. ICFAI Business School (IBS), Dehradun, established in 2004, has evolved as a B-School that grooms students for being innovative, ethically grounded individual, capable of managing change and transformative in a highly competitive environment. The comprehensive program structure is fully aligned to the emerging needs of the industry, which expects a person to be both a manager and a leader. At IBS Dehradun, we are fully aware that high quality education is critical for the future progress of a student, especially in a knowledge and innovation driven environment. IBS, therefore, strives to provide quality education to the students both in the classroom and through its rigorous internship program. The case-based pedagogy at IBS focuses on imparting the right knowledge, skills and attitude to our students, to help them to be right fits in the competitive and fast changing business environment. The students are imparted a holistic view of life with a “can do attitude” by the faculty having rich experience in industry and academics. IBS Dehradun is a constituent of the ICFAI University Dehradun, having a vibrant 25 acre campus in the sylvan environs at the foothills of the Himalayas. The University has a vibrant campus. Throughout the year, there are many events and activities that complement daily academic activities in the class rooms and provide for a welcome diversion. You can look forward to having a tenure of excitement coupled with learning at IBS Dehradun. 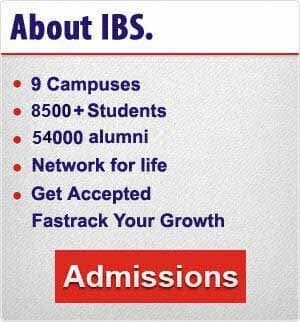 I welcome you to explore the wealth of opportunities and challenges at IBS Dehradun. Wishing you happy times ahead!!!! IBS Dehradun gives utmost importance to assist students in getting suitable placements after successful completion of the program. KOINAGE HR Solutions Pvt. Ltd.
GHRDC-CSR B-School Survey 2016: Ranked 2nd among B-Schools of ‘Outstanding Excellence’. Ranked 65th among best ‘Indian Management Institutes in Research’. 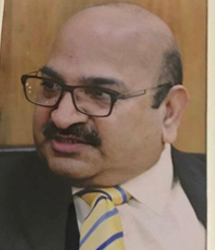 Professor Dr. Muddu Vinay is the Dean, IBS & Pro Vice Chancellor at the ICFAI University Dehradun. He has around three decades of rich experience in the field of Education, Training, Planning, Management and Consultancy. He is acknowledged not only for establishing Institutions but also leading them to excellence in Academics and Research with his path breaking initiatives. Dr. Muddu Vinay has held several positions of eminence in professional bodies in the field of education both globally and in India. These include Chairman IQAC(Internal Quality Assessment Cell), Proctor, University of California, Berkeley Extension. He has spearheaded and pioneered various programmes in the field of higher education especially in postgraduate studies in collaboration with reputed schools in India, Australia, New Zealand, UK, Singapore and Malaysia. He is the present expert peer committee member, National Board of Accreditation, Govt. of India, New Delhi. He has also been the expert member for various professional organizations that include Higher Education UK India Education and Research Initiative (UKIERI), World Bank and MHRD. He has been conferred with ‘Award of Excellence- Eminent Educationists’ in the Indo-American summit 2016, MTC Global Award for Excellence 2013 in ‘Innovation in Teaching Pedagogy’, ‘NESA Fellowship Award 2012’ and ‘Leadership and Responsibility Award’ by Presidency Group of Institutions, along with many other awards and accolades in his illustrious career. He has personally trained more than 30,000 individuals undertaking undergraduate, post graduate studies as well as research scholars, University teachers and teaching staff. He is widely acclaimed for creating successful business models in the education sector without compromising on the ethical dimensions of teaching as a profession. Faculty: The faculty members have very good academic backgrounds and sound conceptual knowledge in their respective disciplines. They are practicing professionals and academicians drawn from industry. Class Rooms: IBS Dehradun has classrooms well equipped with computers, LCD and overhead projection systems and internet connections. Computer Lab: A full fledged computer lab is available for students with 24-hour internet access. A Wi-Fi network is also available for wireless internet access for the students through their laptops. Library: The library has the finest selection of contemporary books and journals which supplement the prescribed reference books and textbooks, providing students an opportunity to gain significant appreciation of management and IT subjects going well beyond the classroom based program. Auditorium: An auditorium with a seating capacity of 120 is available for conducting events and functions. indoor/outdoor games like Table Tennis, Carom, Chess and Badminton. Continuous efforts are made to strike an appropriate balance between student’s classroom activities and out of classroom activities. They are encouraged to form informal groups and clubs based on their areas of intest, share information and exchange ideas. The students organize annual meets, which offer them an opportunity to interact closely with other colleges.